On Tuesday, 28 October 2008 it was announced that Michigan based Cascade Engineering has become a distributor for the Swift Wind Turbine in North America. 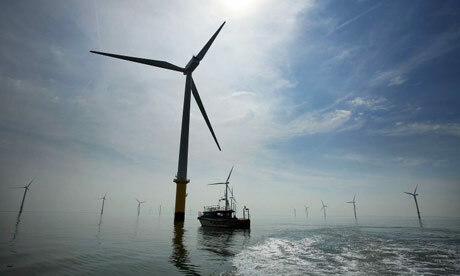 Renewable Devices, based in Edinburgh in the United Kingdom, states that their wind turbine system is the world’s first specifically designed for rooftop installation. Renewable Devices says that their system is exceptionally safe, efficient and the operation is so quiet that it is near silent. They have installations worldwide quietly generating clean energy for homes, community groups, and commercial industries for over 4 years. The first commercial installation is atop the Frauenthal Centre for Performing Arts. It was in unveiled in a ceremony attended by Michigan’s Governor Jennifer Granholm. The installation is a project designed to demonstrate a cost-effective source of clean, renewable energy. This commercial installation will also serve to educate the community and show people how each of us can really make a difference by reducing pollution one home at a time. By installing these nonpolluting sources of energy right on your rooftop, you can cut carbon emissions, reduce your electric bills, and any extra electricity that you generate will put money back in your pocket. These wind turbines systems feature a rooftop or wall mount, near silent operation, no vibration, and with a rated power output of 1.5kW they can easily generate up to 2000kWh annually (when well sited). They work in smooth air and make the most of turbulent air. Just install it and forget about it. And don’t worry they are bat and bird safe. Each unit comes with a 20 year warranty and is guaranteed maintenance free for life. And don’t forget to check your state and local governments for additional financial incentives. 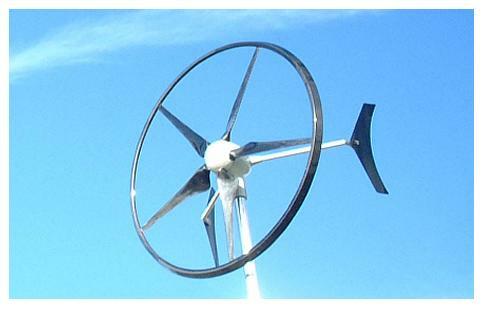 These wind turbines are available in a couple models. One is a standalone system that works off the grid in remote areas where electricity may not be available. It supplies energy when you need it and stores the excess energy in batteries for later use. The standard model is designed for homes connected to the grid (electricity supplied by your local Electric Power Company). It also supplies energy to you when you need it and when you don’t need it the excess energy is sent back to the power company and they pay you for it. You can actually watch your meter spin backwards. This is one of the most ambitious efforts I’ve ever seen. Even if they fall way short it’s still going to be a huge accomplishment. There’s a lot are really cool stuff in this article. In Berlin, they are putting together the world’s largest wind turbine. Each of the blades is supposed to be 20 meters longer than the wings of the world’s largest aircraft. The giant Enercon E-126 will sit on top of the 140 m tall concrete tower on a ridge that will put it 250 m above the ground. A single unit will provide nearly 20,000,000 kWh of electricity a year-enough to power a town with over 20,000 homes- WOW! Now imagine a bunch of these babies lined up in that wind corridor in the center of the United States. We have a lot more wind Germany does. T. Boone Pickens isn’t that crazy after all.